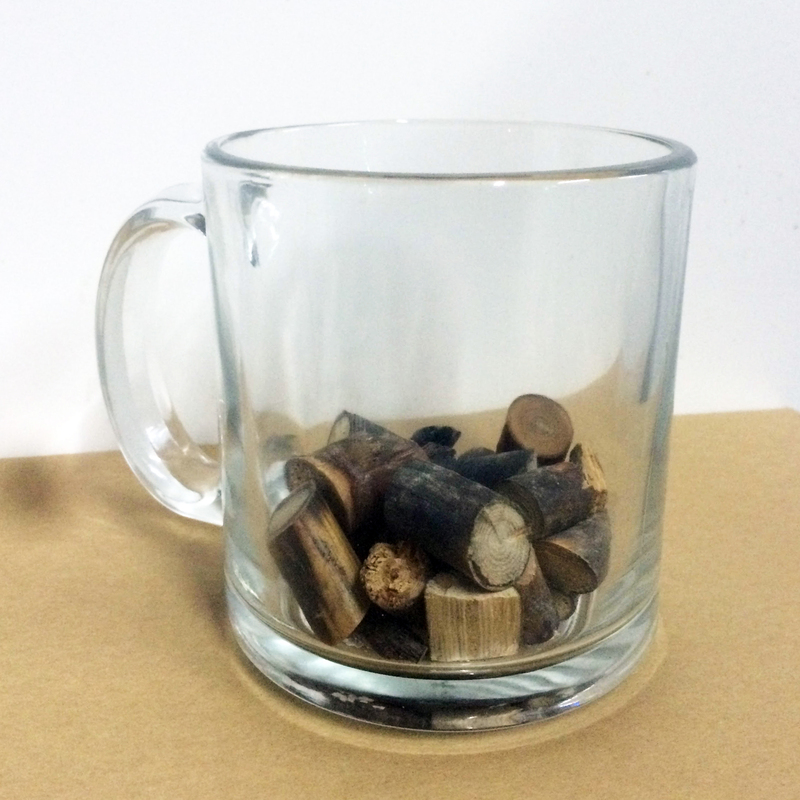 Description: A clear glass mug, half-full of wood knots. Please note: object can be either loaned inquire within or reproduced. Please Note: Reproduction can ONLY happen in the following way: slamming dimensional lumber units (pine or other cheap wood) with each other, or on any other hard surface, until the percussions/vibrations pop every single wood knot out, so that they can be collected. Good Luck. This entry was posted on March 15, 2015 by rdotmdot in 3D, Free, Item, Loan/Temporary, Performance, Reproduce/Similar and tagged 3D, FREE, glass, LOAN/TEMPORARY, REPRODUCE/SIMILAR, wood.